A Fairy Tale — Writing… or Typing? Jill, it turned out beautifully. What a treasure. You are no longer just a knitter, I now dub thee “Lady Knit Designer”. It’s lovely, the baby and her parents will all treasure having such a special gift. 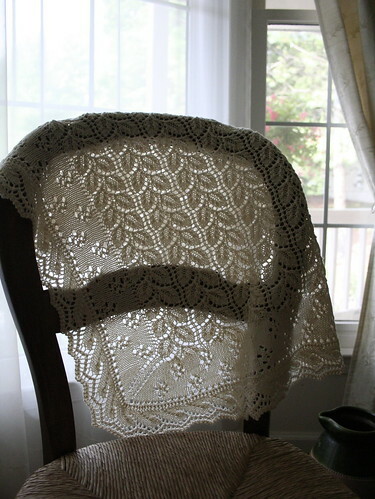 What a beautiful shawl – and how fun to have a story to go with it! Wowsers! You’re amazing, and that’s the truth!